Keto Cheesy Broccoli Casserole is the perfect Keto comfort food. I've combined one of our favorite vegetables with creamy cheesy goodness. This is a family sized keto recipe and it won't last long on your table! Kids absolutely love it. You can also leave the page open and use the handy checkboxes while you're making keto cheesy broccoli casserole and even use the timer function that's built in! This Cheesy Broccoli Casserole is the perfect keto comfort food. I mean...let's be honest here...is there anything better than cheese smothered broccoli?? I think not!! Whip this up for dinner tonight! Leftovers freeze well. Stock your freezer with a healthy keto side dish. Cut broccoli into small pieces and steam in the microwave until it is almost cooked. (You can also use frozen broccoli). Drain the broccoli. When you pierce the broccoli with a fork, it should allow the fork to go in but not all the way through. The broccoli will finish cooking in the oven. Add the broccoli to the cream mixture and stir to combine. Gently stir in the grated cheddar cheese. Pour into a 9x13 baking pan and bake at 350 degrees for 30 minutes. This recipe can be made with either fresh broccoli or frozen broccoli. Frozen broccoli seems to have more moisture once partially cooked. Make sure to drain off the excess water before mixing things up. If this recipe is too large or too small for your family, simply adjust the servings in the printable recipe above! The handy calculator does all the work for you. This recipe works great with substitutions. You can make it dairy free by substituting non-dairy alternatives. 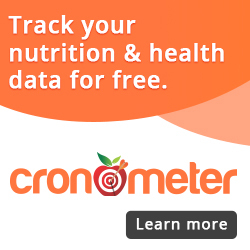 Make sure you choose low carb options and use a program such as Cronometer to calculate your own nutrition facts. We like to substitute PepperJack Cheese for the Sharp Cheddar from time to time for a different flavor profile. Cut broccoli into small pieces and steam in the microwave until it is almost cooked. When you pierce the broccoli with a fork, it should allow the fork to go in but not all the way through. The broccoli will finish cooking in the oven. Combine cream, softened cream cheese, eggs and spices in a large mixing bowl. Whisk or blend with a mixer until combined. Some chunks in the batter are ok as they will melt during baking. Pour into a 9×13 baking pan and bake at 350 degrees for 30 minutes.